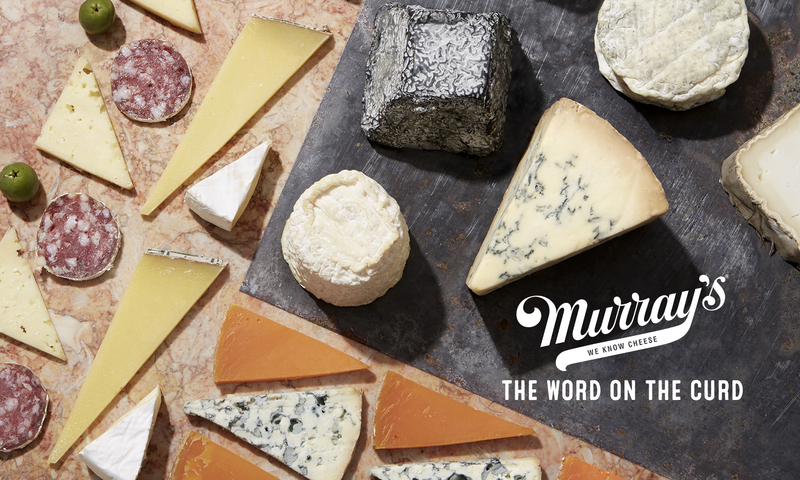 Most people know that Murray’s has caves where we age a wide variety of cheeses. But we would bet that only a few people really know what’s going on back there. So we talked to the man behind the curtain: Brian. 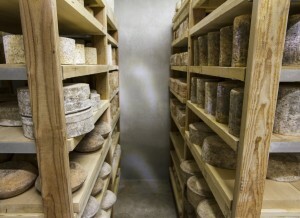 He’s our cavemaster, and he’s here to tell you a little bit more about Murray’s caves, the 3 most important types of mold, and why patience is the greatest of all virtues (when it comes to aging cheese, that is). 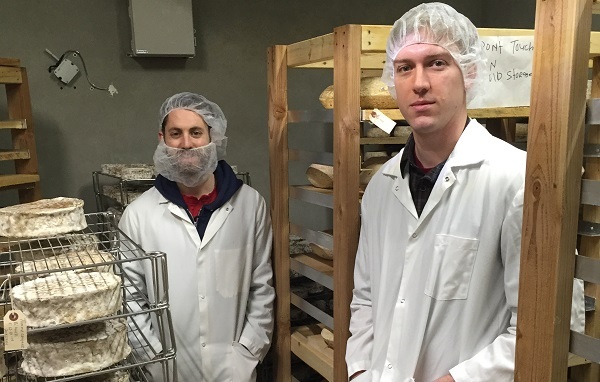 Meet Brian, Murray’s Cavemaster—or, in his words—a mold and bacteria farmer. His day consists of a lot of ritual, mostly comprised of repetitive tasks that are a mix of old-world traditions and modern technology. Brian’s primary job is to maintain the cheese at its highest level. This encompasses patting and flipping the bloomies, washing the alpines and stinkers, flipping and brushing the natural rinds and, in general, cleaning the space and making sure everything is in tip top form. The timing of all of these activities is super important as well. The end goal of all these tasks is to keep the rinds happy, which is not as simple as it might seem. Sadly this is not an actual type of mold. But there are tons of different molds that make up the micro flora of our caves: Sporendonema Casei, Chrysosporium Sulfereum and Geotrichum Candidum are just a few that help make our cheeses what they are. We dare you to say all of those five times fast! 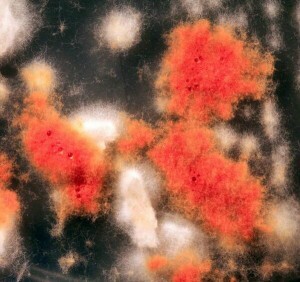 Brian’s favorite, the S. Casei, is a naturally occurring mold that is bright orange and brings with it flavors of damp forest and fresh mushroom. Brian stresses that affinage (the technical and French word for the aging or refining of cheeses) is a balancing act between art and science…or sciart. Brian explains that tasting the developing flavors all day and associating them to molecules and compounds can be very interesting. But at the end of the day you want to be moved by the product both emotionally and intellectually. My Day Job is Real, Darn it! Soooooo, What Do You Do? Reactions when these Brian explains his job to others run from the mundane (“Cool…”) to the absurd (“So, you’re like a Cheese Warden? Like, you fondle rinds all day?”). Working in the caves is a workout, a physically demanding job that at the end of the day leaves you reeking of cheese (Wondering what that smells is on the subway? Stop looking around, it’s you). But the one thing Brian says is the most important, as well as the hardest part of the his job, can be summed up in one word: PATIENCE.